I’m sure you’ve read about the controversy behind the Crunchpad, CrunchGear, Fusion Garage, Michael Arrington and Chandra Rathakrishnan. Here’s a brief breakdown and then I’ll get into my absolute exclusive, breaking news story. Michael Arrington and his blog CrunchGear had this idea of an Internet tablet. He has an incredible pull in the tech industry with production companies, advertisers, publishers, the whole deal. Arrington had this idea of an internet connected, totally open source tablet that would allow a user to have a total web experience without the big computer. Most of your web experience doesn’t require a mouse or keyboard, really. A multitouch screen, like that on the iPhone, has proven this. Of course, Apple has a rumored tablet coming out too. But lucky for Arrington, the Apple tablet, if it is indeed real, would be in a totally different market. Arrington wanted the Crunchpad to cost around or les than $200. There simply isn’t any way Apple would meet that. When their tablet comes out, if it does exist, look for one at least $800. Just days ago, Arrington broke the news that the company he had teamed up with to build the Crunchpad had bailed on him, that they planned to release the device without his backing and that lawsuits were pending. Rathakrishnan, of Fusion Garage, the company behind the actual creation of the Crunchpad had a lot to say about this. Here are his claims, which actually sound pretty legit. Arrington never had any formal, written, legal agreement with Fusion Garage or Rathakrishnan to engineer, build, sell the tablet. His argument is pretty interesting. If Arrington (a lawyer) didn’t sign any contracts and had no formal agreements, prior art, etc… he’s pretty much SOL. So what about the name? Arrington definitely owns the rights to Crunchpad. Whatever will Fusion Garage sell this device as and for what amount? It’s the JooJoo, which means magic and you’ll be able to buy it for $500. It’s got a sleek, elegant, industrial design it plays back 1080p video, built in WiFi, five hour battery life, 5gb of built in storage and I want one. However… upon closer inspection, something didn’t seem right. I give to you, the original “JooJoo” tablets. Behold, the original JewJew tablets as modeled by the Fusion Garage of 1441 BC. We all know the story of Moses, leader of the Jews, and his creation of the tablets with the intellectual property loaned to him by God. Think of it this way. 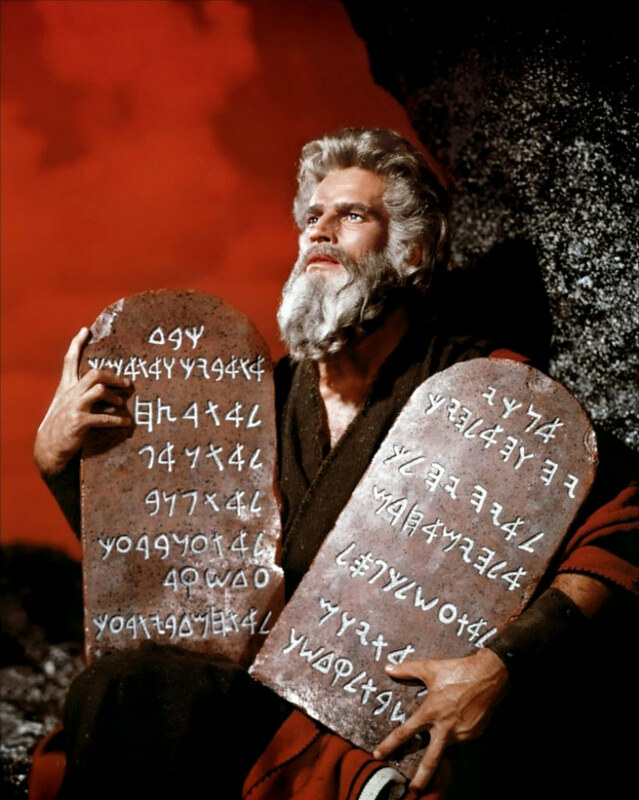 Michael Arrington is to God as Chandra Rathakrishnan is to Moses. I’m pretty sure this will take the technology world by storm. Look out CNet, ValleyWag, Engadget, Gizmodo and yes, even TechCrunch/Crunchgear. You learned of this vast conspiracy here first. Spread the word!